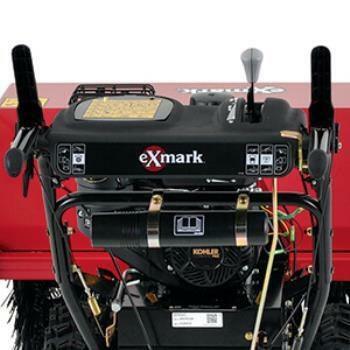 Whether it’s cleaning up grass clippings, removing snow or anything in between, Exmark’s® walk-behind rotary broom is one well-sorted machine. 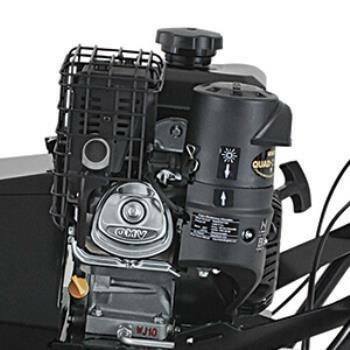 The patented power steering system makes it extremely easy to maneuver. 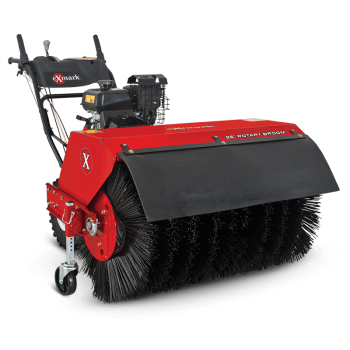 The 36-inch-wide brush (25 in. 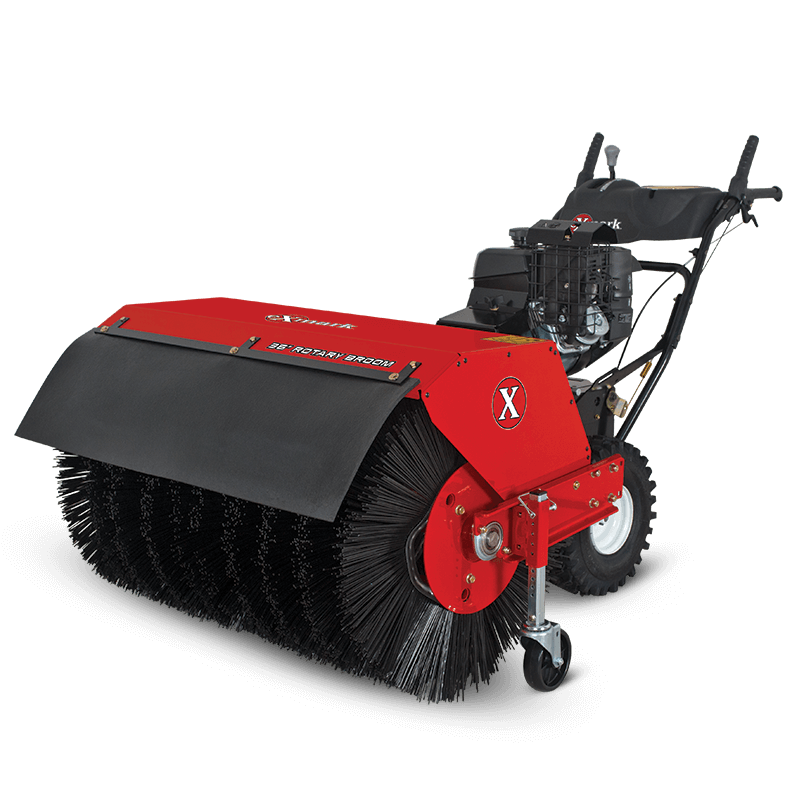 outer diameter) is specifically designed to minimize surface impact—perfect for snow and ice removal customers who want sidewalks and driveways cleared down to the surface without damage. 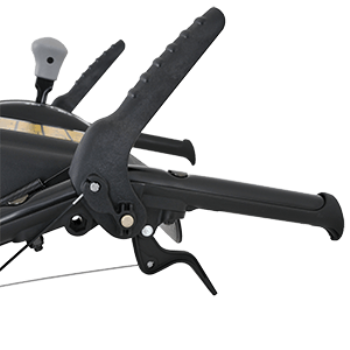 And simple adjusters let you easily set precise broom heights. But perhaps best of all, it’s an Exmark. 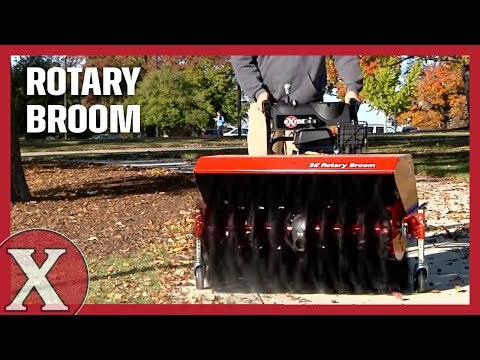 So you know it’s built to last … Season after season. 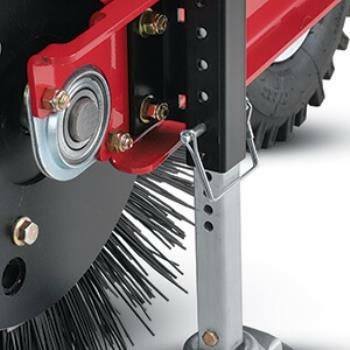 SIMPLE HEIGHT ADJUST: The broom height can be fine-tuned in 1/8 in. increments by simply moving two pins. 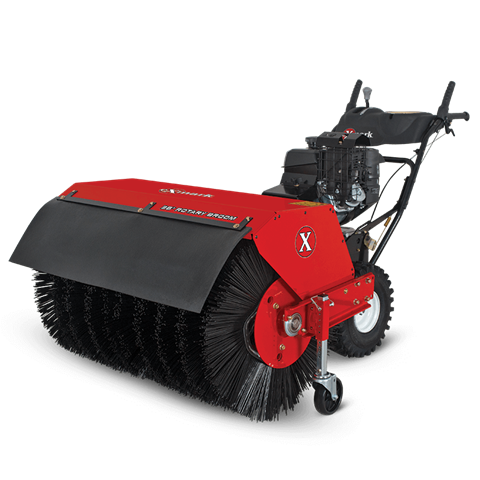 This makes leveling basically foolproof, and allows for precise surface engagement.